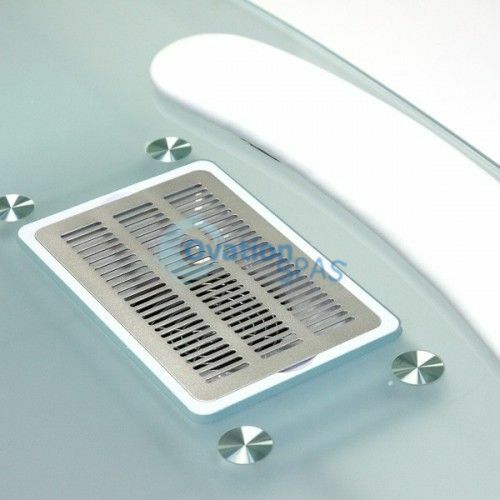 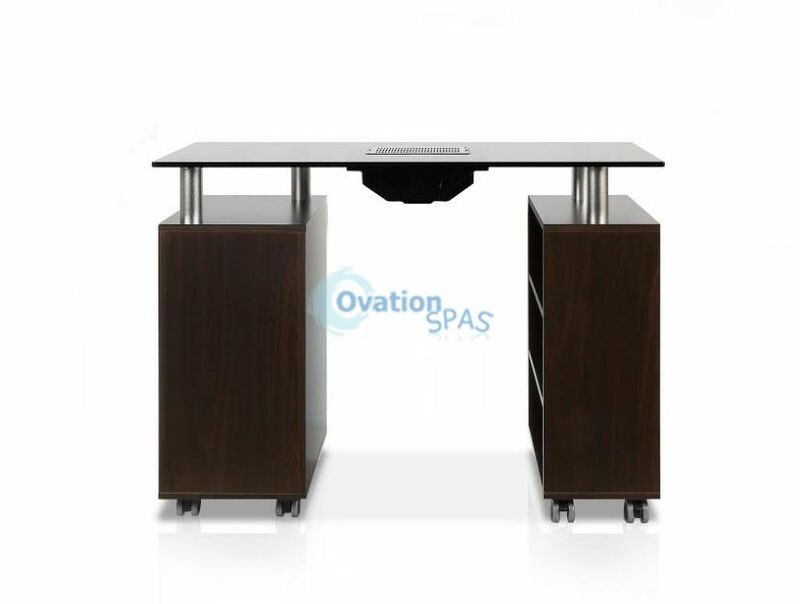 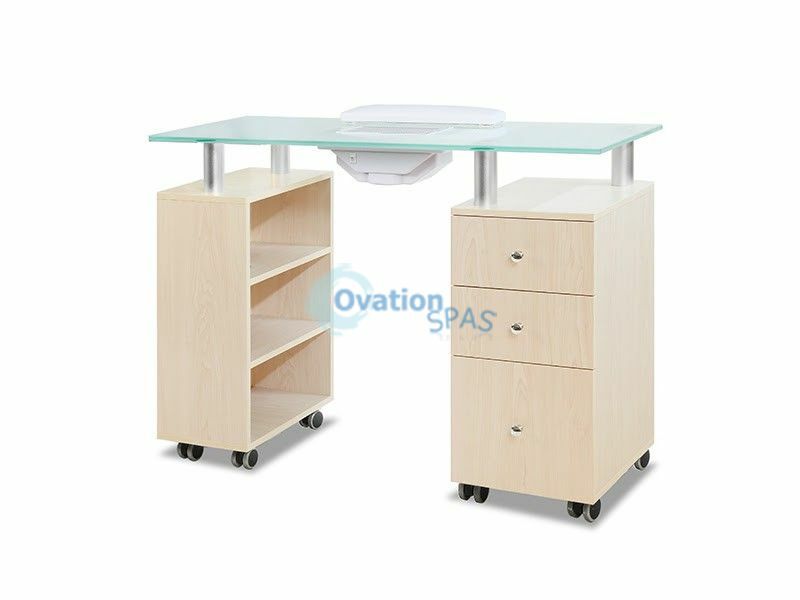 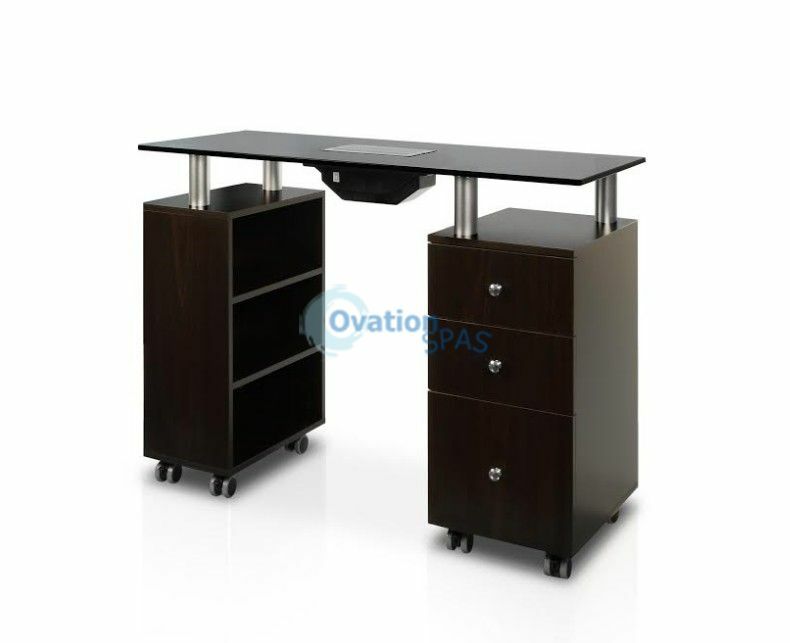 Manicure table with draft fan is luxury frosted glass top w/rounded edges raised on steel pedestals. 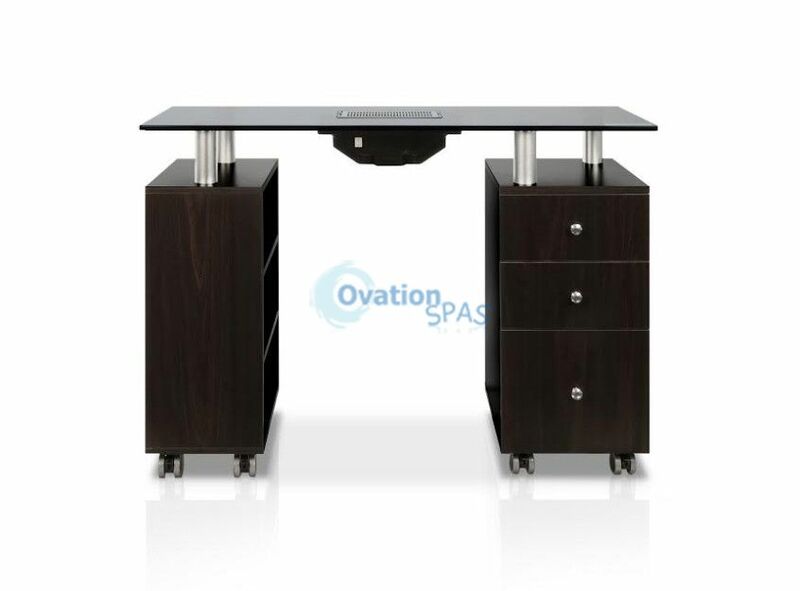 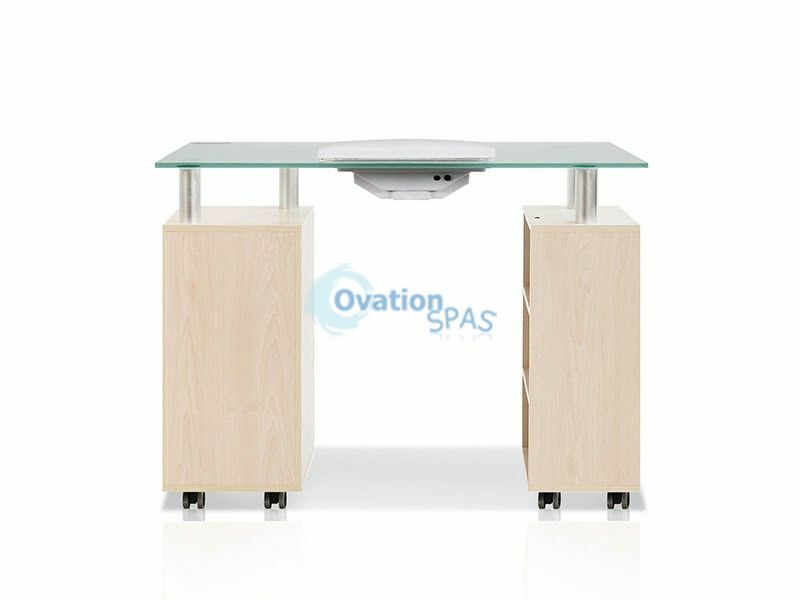 Simple, clean and contemporary design glass top manicure table/nail station perfect for day spa decor. 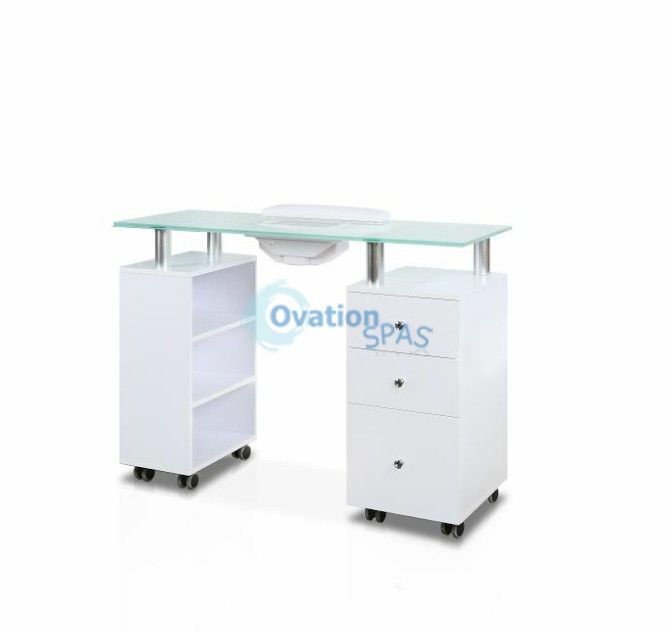 Comes with glass top, (3) section shelves, (2) drawers, and (1) cabinets. 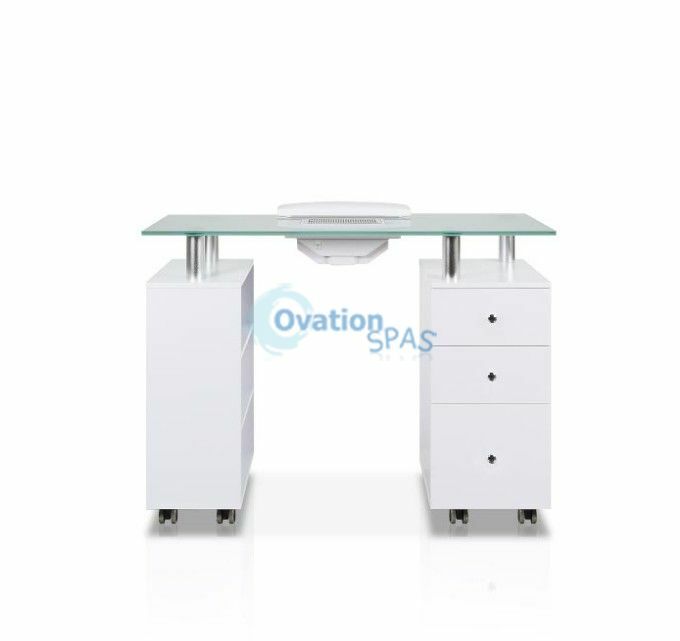 Luxurious frosted glass top w/rounded edges raised on steel pedestals. 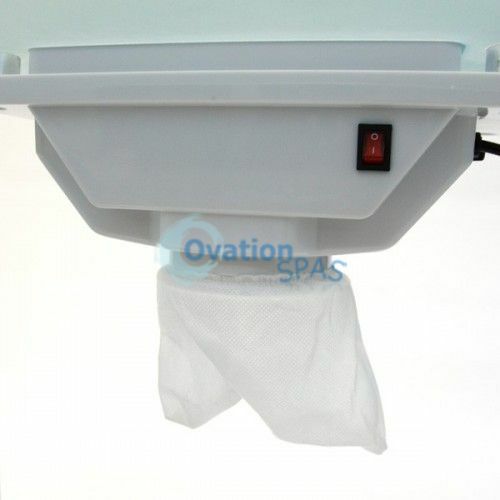 Includes white hand rest pad.